One of the world's strongest snus you can find! 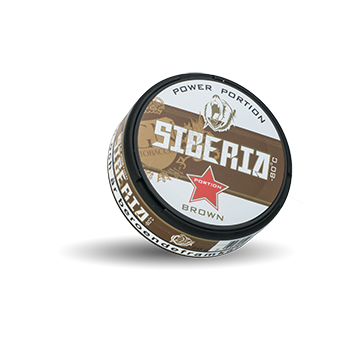 Siberia Brown Portion is an original snus with very high nicotine content. A pouch Siberia has a nicotine content of 43mg/g, compared to normal strong snus containing 8mg/g. The can contains a total of 20 grams of snus and tastes heavily from tobacco, with strong notes of mint.